While the Samsung Galaxy Note 4 stole the show at the beginning of the IFA 2014, Huawei gave it its best with the newly announced Huawei Ascend Mate 7. 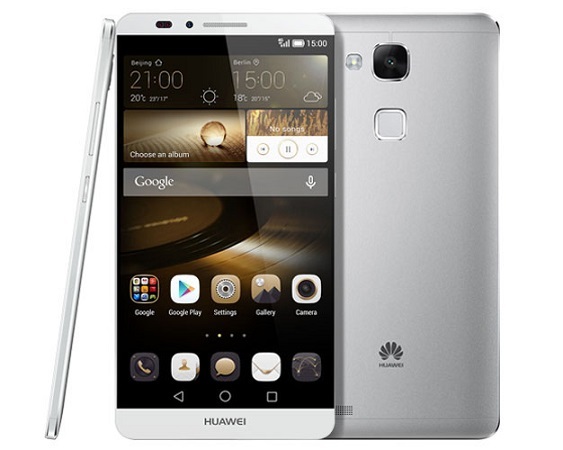 Huawei has announced the launch of the Huawei Ascend Mate 7, which is the company’s latest phablet boasting of an 83 percent screen-to-body ratio with just a 2.9 mm narrow bezel. The handset is equipped with a highly sensitive fingerprint sensor that is present on the back which wakes up the screen instantly on single touch. The Huawei Ascend Mate 7 has a 6 inch in-cell LTPS display with resolution of 1920 x 1080 pixels. The smartphone is powered by an octa core Kirin 925 processor clocked at 1.8 GHz and is available in two version – one with 2 GB of RAM and 16 GB of internal storage and the other with 3 GB of RAM and 32 GB of internal storage. The Huawei Ascend Mate 7 is equipped with a 13 MP rear facing camera with a Sony sensor, F/2.0 aperture and 5-element lens LED flash. There is also a front facing 5 MP camera with 5P non-spherical lens.